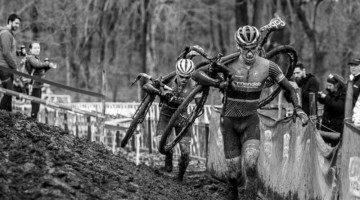 The 24th edition of the Cycle-Smart International Cyclocross unfolded on a redesigned course masterfully incorporating new challenges with the classic elements of this renowned race. 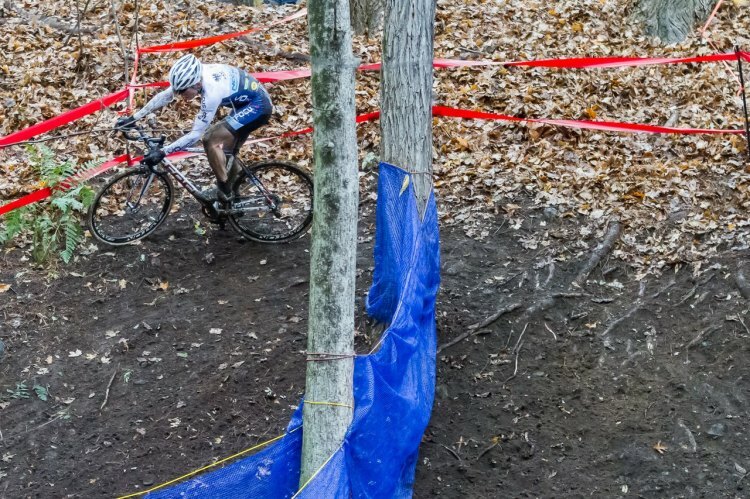 CSI CX is the 3rd and 4th Round of the 2014 Verge New England Cyclocross Series, America’s longest-running and most prestigious UCI cyclocross series. 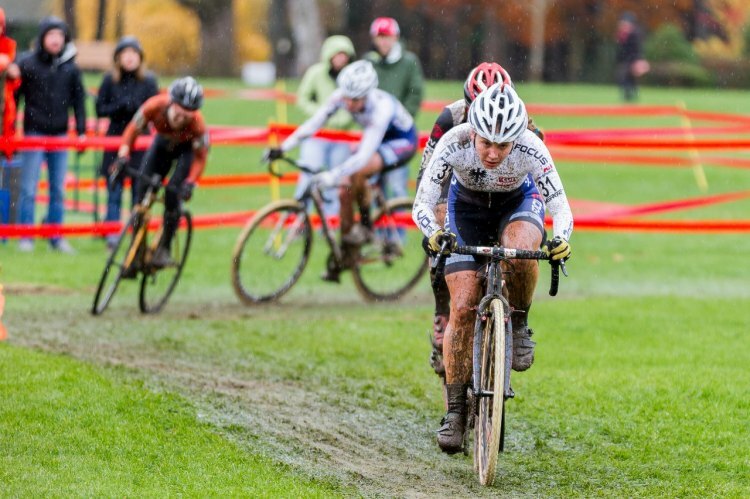 A cold rain began to fall around midday, causing slippery conditions on course that changed lines from lap to lap. The superstars of Northeast cyclocross were all there to prove themselves up to the challenge of this tough course and the difficult conditions. 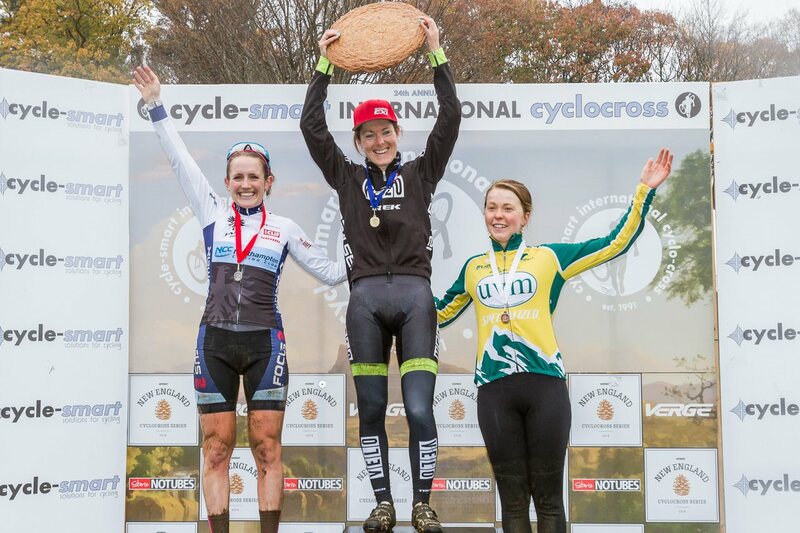 Racers battled for leader’s jerseys in the series competitions, and also for podium cookies baked by JAM Fund racer Ellen Noble. 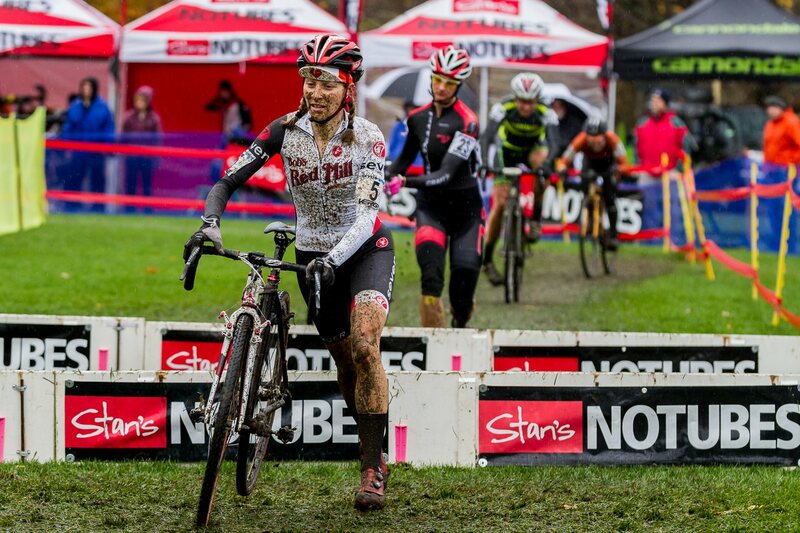 Gabby Durrin (Team Neon Velo) took the hole shot in the Elite Women’s race and never looked back. 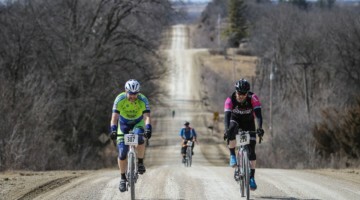 Mo Bruno Roy (Bob’s Red Mill p/b Seven Cycles) and Ellen Noble (JAM Fund/NCC) chased hard through the slick mud, deftly maneuvering tough corners and technical trail sections. 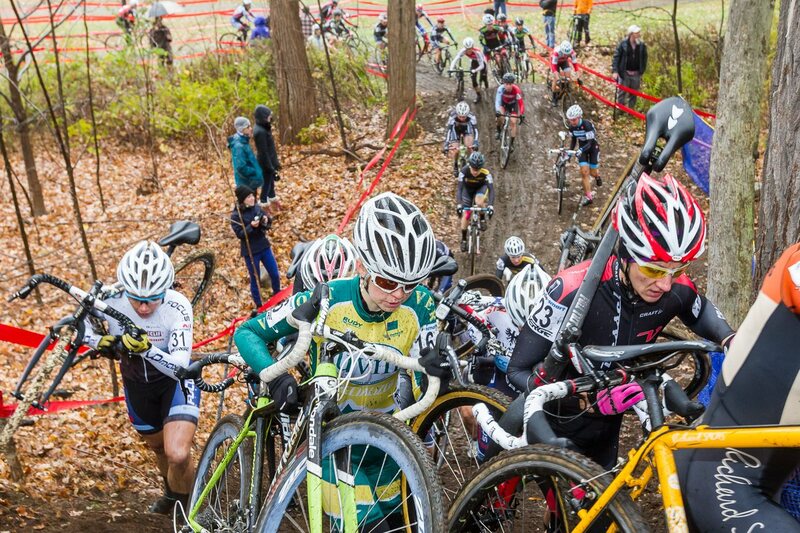 A chase group amassed behind them, including Jenny Ives (Verge Sport), Cassie Maximenko (Rare Vos Racing/Van Dessel/Power Bar), Britlee Bowman (House Industries/SimpleHuman/Richard Sachs), Natasha Elliot (Cycle-Smart), Kate Northcott (NESS Racing), and Elizabeth White (UVM Cycling). While Durrin remained in control with a steady gap on the field, the chasers’ aggressive tactics shook up the top ten and made for very exciting racing. Noble rode away from the rest of the chasers, while Elizabeth White made bold moves to bridge up to Noble with less than a lap to go. However, Noble remained collected and maintained her second place spot in the end. White claimed third, and Durrin won a tremendous win with an amazing ride. 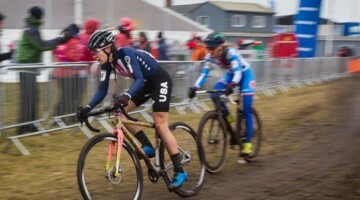 With their amazing rides today, Gabby Durrin has moved into the Elite Women’s Verge New England Cyclocross Series lead, and Ellen Noble now wears the U23 Elite Women’s leader’s jersey. 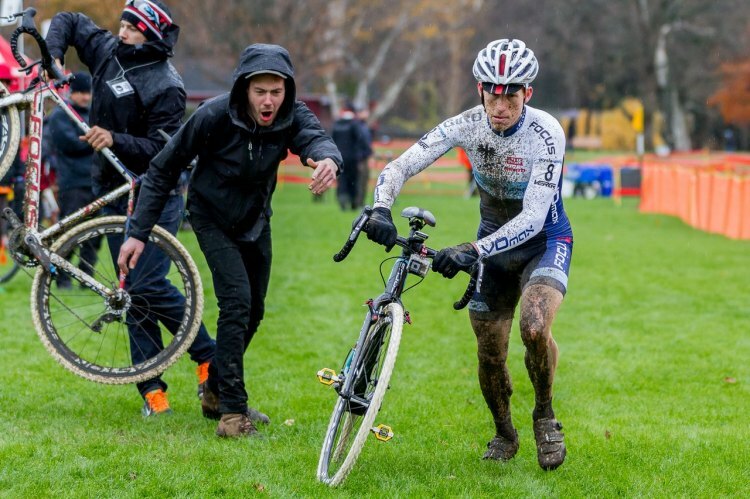 Right from the whistle, Stephen Hyde (JAM Fund/NCC) was on the attack, masterfully tackling whatever the course and changing conditions threw his way. 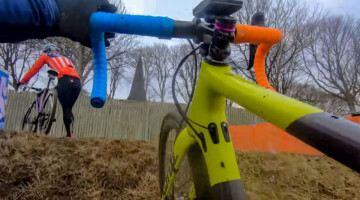 A huge chase group formed to try to bring Hyde back: Dan Timmerman (House Industries/SimpleHuman/Richard Sachs), Jake Wells (Stan’s NoTubes Elite CX), Adam Craig (Giant Factory Off-Road Team), race founder Adam Myerson (Cycle-Smart), Jeremy Durrin (Team Neon Velo), and Jerome Townsend (Joe’s Garage p/b BikeReg.com). 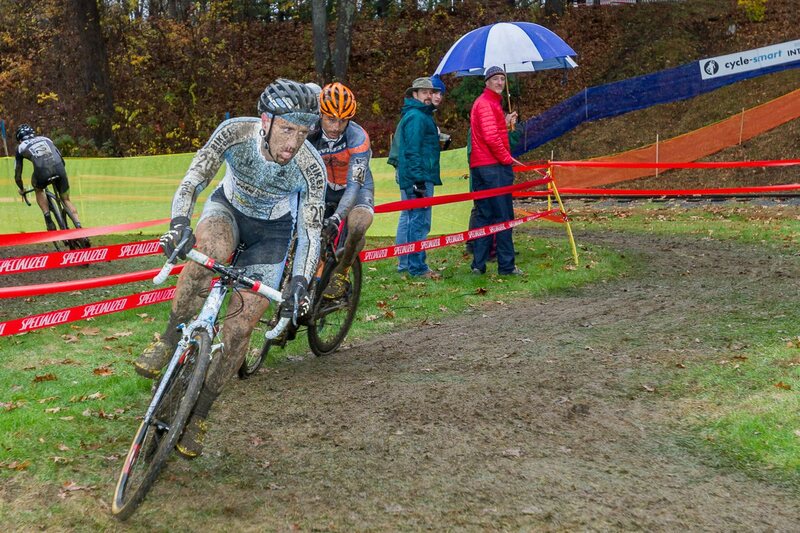 Timmerman and Craig escaped the larger chase group to battle for podium spots. Craig used his unparalled handling skills to leave Timmerman behind, as Wells hovered a few seconds back. In a tactic similar to Hyde’s winning strategy at Providence’s KMC Cyclo-cross Festival, the talented racer gained enough of a lead on the field that he could work his way through the challenging course on his own terms. 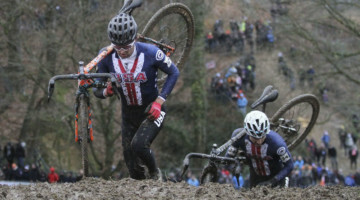 Hyde never grew complacent, however, and raced with ferocity even when his gap back to Craig was up to thirty seconds. 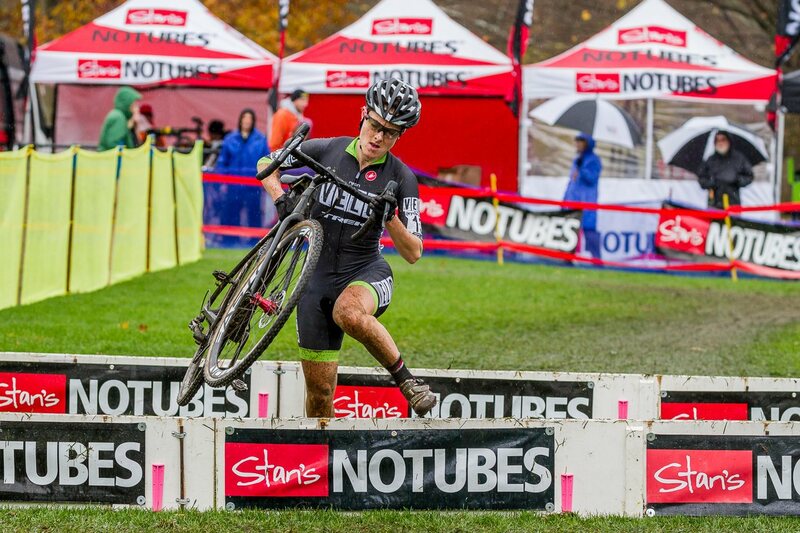 In his first time racing here at Cycle-Smart International, Hyde won an amazing victory. 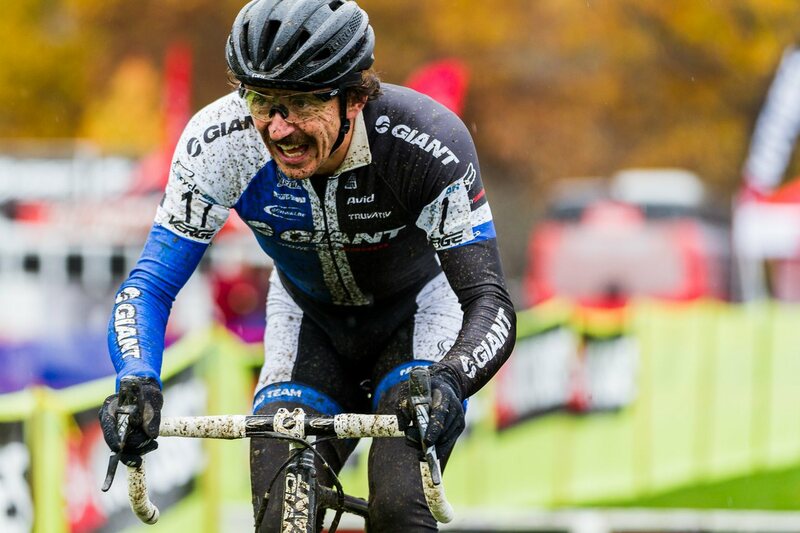 Craig cruised across the line in second, and Timmerman rounded out the podium. Wells rode through for fourth as the remaining chasers hit the finishing stretch all together. Townsend got Myerson right at the line in an exciting sprint for fifth. Hyde’s amazing win today serves as a good sign for things to come in his upcoming trip to race in Europe. With the points earned in his podium finish, Dan Timmerman claims the Verge New England Cyclocross Series Elite Men’s lead, while Scott Smith (JAM Fund/NCC) narrowly won the U23 Elite Men’s lead today. 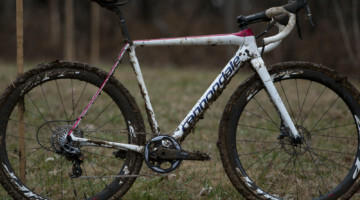 Stay tuned for more tomorrow, with live video streaming at gnarlymonkey.com and live tweets from @VergeNECXS.